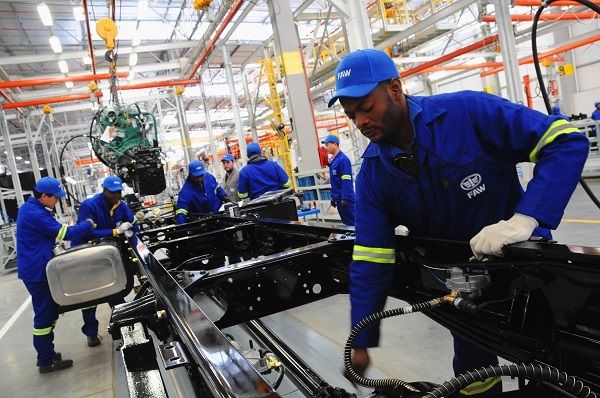 The real growth rate of the South African economy slowed to 1.3 per cent in 2015 from 1.5 per cent in 2014 and 2.2 per cent in 2013 and was the lowest since 2009 according to data released by Statistics South Africa. Statistician General Pali Lehohla said that agriculture contracted by 8.4 per cent in 2015 with a further contraction expected in 2016. Excluding agriculture, GDP growth was 1.5 per cent in both 2015 and 2014. “The drought has a negative impact both in terms of employment and industrial output,” he said. South African Finance Minister Pravin Gordhan in his media briefing before the Budget last week that this time was different because government and businesses were fully engaged as the crisis of slowing economic growth had focused minds and there was a commitment to turn words into action. Boosting growth was the primary aim of government, even though the Treasury forecast that growth would slow further to 0.9 per cent in 2016, before rising to 1.7 per cent in 2017 and 2.4 per cent in 2018. The main spending priority is on infrastructure spending, but that is expected to slow to R274.8bn in 2016/17 from R290.4 billion in 2015/16, R259.9 billion in 2014/15, R243.9 billion in 2013/14, R233.3 billion in 2012/13 and only R180 billion in 2010/11. Macquarie Securities economist Elna Moolman noted that in the Budget the Treasury forecasted 1.2 per cent growth in government consumption expenditure for 2016, followed by a 0.2 per cent contraction in 2017. “This consolidation is very necessary from a fiscal perspective, but of course this means less direct growth stimulus. The fiscal consolidation is one of the reasons why we are slightly more bearish than the consensus about the growth forecasts for 2016-2017,” she said. Lefika Securities economist Colen Garrow was bearish as the government services sector now had the second largest share of the economy, behind the financial services sector. “Government needs to unlock the grip it has on the economy, and allow the private sector to engage in pro-growth strategies, which would achieve the objectives contained in the National Development Plan – alleviation of poverty, income inequality and unemployment,” he said. Sanlam Investments economist Arthur Kamp echoed Gordhan’s call for action, and noted that the weak rand could boost export demand. “The sharp fall in the rand in recent months points a dearth of foreign savings inflows and a need for current account adjustment. Although net exports may improve, the flip-side of current account adjustment is weak final demand. Soft real income growth, an increasing tax burden and higher debt servicing costs are dampening final consumption expenditure by households. Further, private sector fixed investment spending and employment growth has stalled, given depressed business confidence, weakened corporate profitability and poor returns on fixed investment spending. Accordingly, real GDP growth is likely to remain weak and may record no growth in 2016,” he said. “The Budget did contain a range of promising measures that could help lift real economic activity, including planned improvements in the functioning of state owned enterprises, assistance for small businesses and co-opting private sector investment and possibly private sector expertise. But, we now need to implement,” he added.